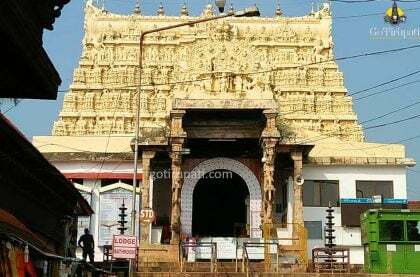 Sree Padmanabhaswamy Temple in Thiruvananthapuram is one of the Divya Desams (108 Holy abodes of Lord Vishnu). 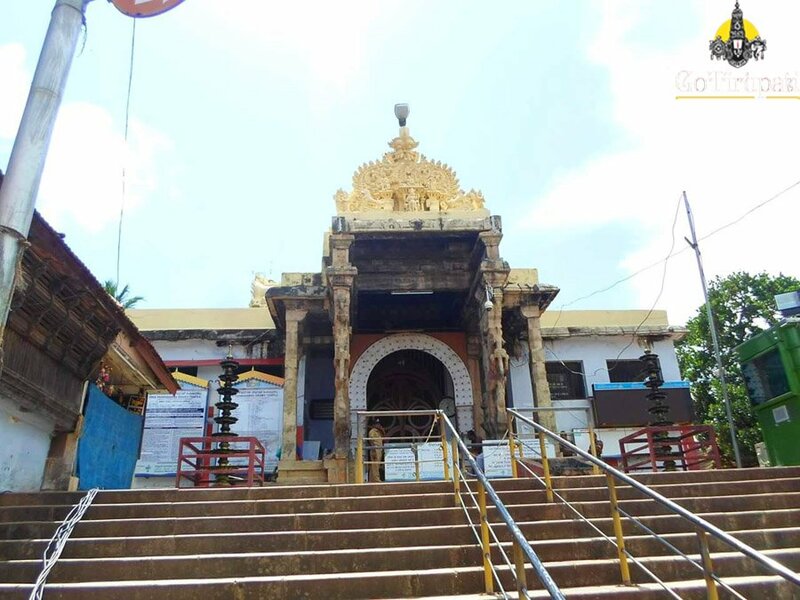 As per the Legends, Sage Divakara Muni an ardent devotee of Lord Vishnu used to perform daily poojas. Impressed by the devotion, Lord Vishnu appeared before him as a child. On Sage request, Lord as a child agreed to stay on one condition, that he will leave when he was scolded. As a child, Lord used to do naughty things, sage was tolerant. One day, while sage was meditating, the child was putting Saligrama (Sacred object) stone in his mouth. 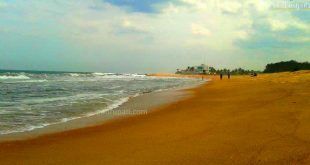 Angered Sage shouted at the child and child while leaving the place said that “If you want to see me, go to Anantha forest”. Realizing his mistake, started searching for Anantha forest. While on search, he heard a Lady voice, who is telling her child “Stop crying otherwise I will leave you in Anantha forest”. Knowing the route to Anantha forest, sage borrowed a lamp from the Lady and reached the forest. 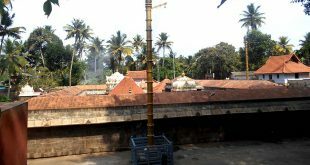 In the early hours, sage saw a huge tree crashing to the ground and it transformed itself to Ananthasayana, 18 miles long. 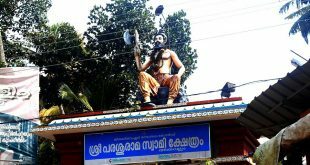 His Head in Thiruvallom, his body in Thiruvananthapuram and his feet in Thiruppadapuram. Sage who was not able to see the complete form requested Lord to took the form which is no bigger than three times the length of his staff. On his request Lord Vishnu took the form of Ananta Sayana to bless devotees. Temple Tower (Gopuram) construction was begun in 1565 Century A.D. 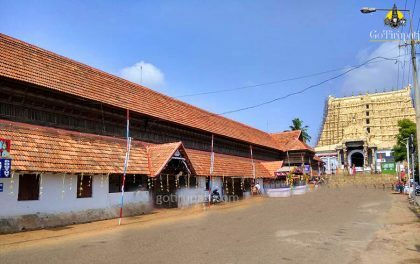 It is only completed during the reign of Raja Marthanda Varma in 1753 Century A.D.
Anantha Padmanabha Swamy recumbent on the coils of five-hooded snake facing East. Main Idol is of 18.5 ft long. In the year 1750 A.D, Maharaja Marthanda Varma passed the decree that Lord will be the ruler of his family and entire Travancore state, he and his family will be his servants ‘Padmanabha Dasa’. King even wrote out a legal stating the same. Is there luggage depositing centre near walking way which takes one hour time to reach tirumala. Pl. let me know. yes it is available near srivarimettu.near srinivasa mangapuram which is near to tirumala shortest distance.